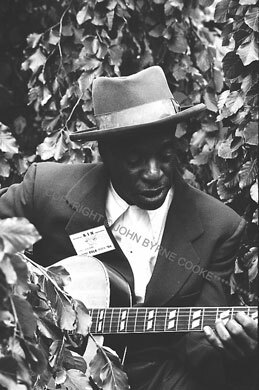 Nehemiah "Skip" James had not performed in front of an audience since before World War II when he arrived at the Newport Folk Festival in 1964, just weeks after being "rediscovered" in a Mississippi hospital by young white blues enthusiasts. Before his performance at a daytime blues workshop, he sat off by himself, all but hidden in the shrubbery, singing the blues in his high ethereal voice. In the Coen brothers' wonderful film "O Brother, Where Art Thou?" Chris Thomas King's character is based on real-life bluesman Tommy Johnson, but the song Thomas sings on the Grammy-winning album from the movie is Skip James's "Hard Time Killing Floor Blues."